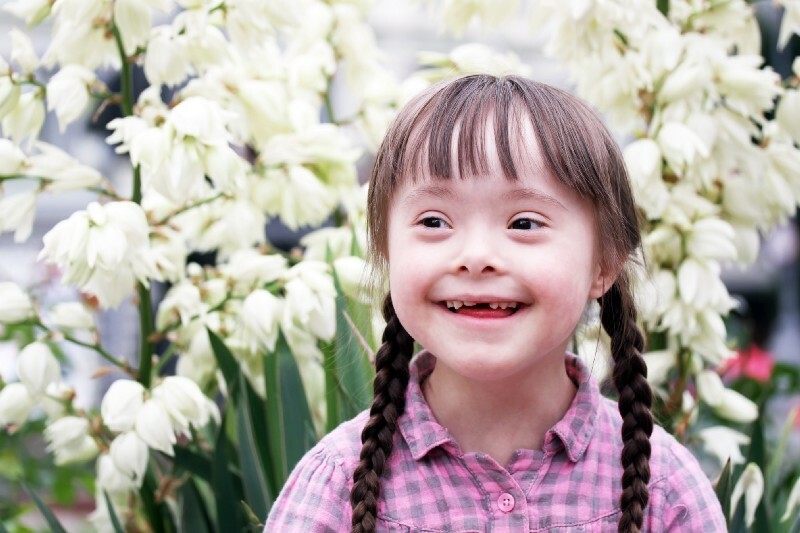 It is no coincidence that International Happiness Day is a day before World Down Syndrome Day. The reason is simple — people with Down syndrome are the happiest people on earth. On my travels around the world, I have visited many schools for children with Down syndrome. I have learned firsthand how truly happy and accepted these children are in their schools. Of course, when I come home and visit what others call “normal” schools, I see how unhappy people are — anxious, upset, fearful. This is a paradox. The fact is, many parents of children with Down syndrome are not happy. They believe they’ve had bad luck, and that the weight of their life is too much for them. They feel sorry for themselves, and what they have to go through, believing that they are all alone. There is a lesson here for us all. It is this: if we are not happy, our children will not be happy either. We must think about ourselves first. And, let’s be clear, this is not a selfish act. We teach by example, and our children are watching us. They can tell when we’re not feeling good. That’s why it is essential that we begin by accepting and trusting ourselves. It is only then that we will begin to be happy. I assure you that everything will be a lot easier when we do. Not too long ago in Bucharest, a pair of sisters came to one of my seminars. One of them came up to me at the end of the first day; she had come with the expectation that I could heal her sister, who had Down syndrome. She had heard what my teacher, Dr. Ihaleakalá, had accomplished at the psychiatric hospital in Hawaii, and thought Ho’oponopono was her answer. Fortunately, I was able to convince her that only God knows why things happen to us. And only God knows what is correct and perfect for each one of us. She came to understand that being grateful for, and accepting, what we have in our life is what brings healing and peace, along with many other blessings. The most important change in her perception happened when I told her that I noticed her sister was doing “very well” and seemed much happier than the two of us. It must be understood that the Earth is a school and we have come to this school to learn and to discover who we are. Knowing this, it is easier to accept and understand that, for some reason, this soul came into our life, and that it’s not a punishment, but a blessing. I always say that our children are our teachers, and kids with disabilities are our advanced teachers. The problem is that we have constantly been judging and criticizing, and have not left any space for inspiration to come into our lives. On the other hand, the children with Down syndrome, autism, and other disabilities are connected to many things that we can’t even see, touch or feel. These children are an example of unconditional love. They’re trying to show us how the universe and life works. What is important. We are the ones who need to change, not them; that’s why I reaffirm that they are teachers at an advanced level. There is a quote that I like very much. “God doesn’t create anything that is not perfect.” It’s true. These children are already perfect as they are; we are the ones who label and box them. Who are we to decide what is right or wrong? Normal or not? Let’s begin to see them as God sees them. Let’s accept that they are here to teach us about unconditional love. We should be grateful for what we have, not what we think we should have, or what we think we need or would like to have. We can start by accepting what was given to us because it’s perfect for us. It’s a blessing even if it doesn’t seem like it. A gift. Some parents of children with autism or Down syndrome come to my seminars and tell me beautiful experiences about the changes they’ve seen when practicing techniques like Ho’oponopono. They see positive changes in their children. They now smile more, and their way of communicating with the outside world has also changed. When parents practice Ho’oponopono, their children benefit from it. It is transmitted through example. These parents decided to take 100% responsibility (not fault), and they began to look at their children in the same way as God sees them. They leave behind judgments, fears, expectations, and above all, worrying about what others will say or think. They decided to accept, let go and trust. They realize they cannot do it all by themselves, so they let God take care of them and guide them every step. They’ve decided to be happy. Accept, love, and learn from your children. You’ll see that they will teach you to stop looking for happiness in all the wrong places. They will teach you to stop worrying, and taking life too seriously. They will teach you to be happy. To love. Find joy. Appreciate the world around you. Let them help you change. And as we say in Ho’oponopono: when you change, everything else changes.